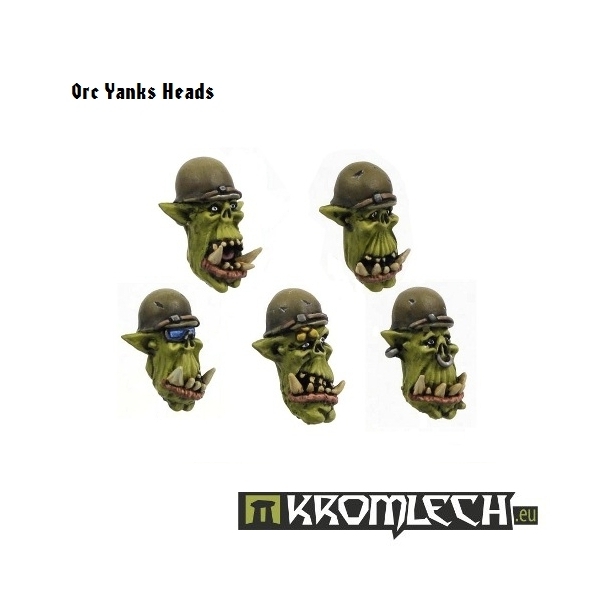 This set contains ten orc heads inspired by WW2 american soldiers. 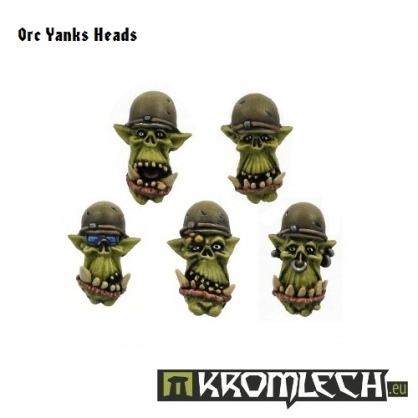 There are five different designs - you get two of each. 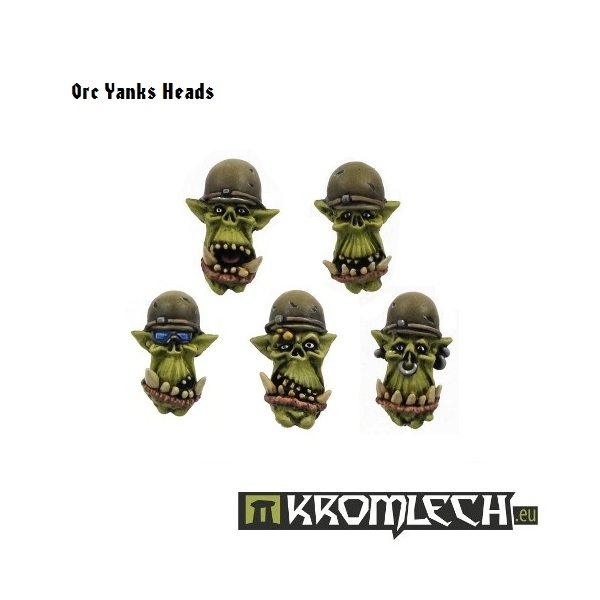 These heads are quite large and may also be used on orc bosses.